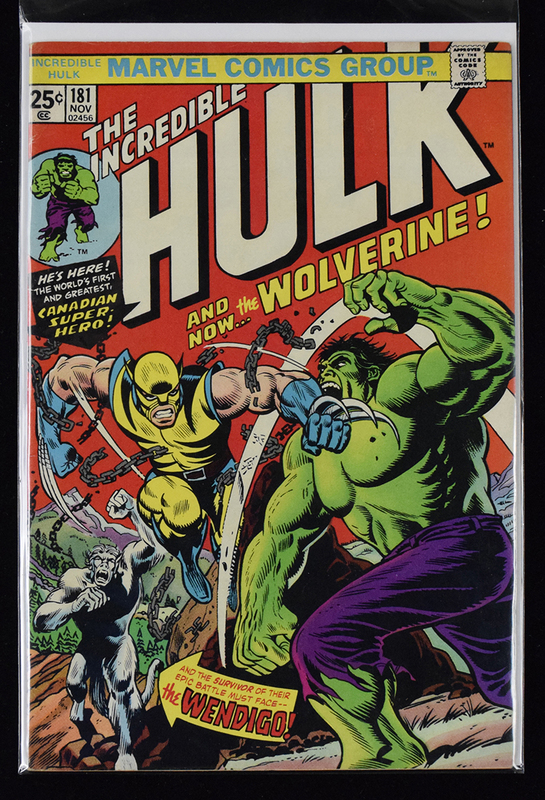 Description: "Incredible Hulk" issue #181 Comic Book - 1st Wolverine (Marvel, 1974) (FN+) Desirable key issue - 1st appearance of Wolverine. Contains rare Mark Jewelers insert within (estimated that less than 10% of the copies include the Mark Jewelers insert). Issue remains fully intact with clean staples. Interior pages are slightly toned. Exhibits light corner wear and a few minor stress marks on the spine. Great looking example which grades FN+ and could possibly be improved by pressing. This item closed at 12/05/2018 at 10:20 pm. No more bids are being accepted on this item.